I caught Pete Woods signing at the DC Booth. 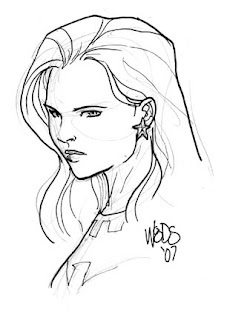 Since Pete is currently working on the AMAZONS ATTACK mini, I asked him to draw either Cassie or Donna. He chose Cassie - who will indeed be appearing in the mini. As always, nice stuff from Mr. Woods.